Day 21 of Photo 365 is interactive! What do you think this is? It’s still dreadfully cold here in Minnesota, so I didn’t venture out tonight. That is your only hint – this photo was taken in my home. 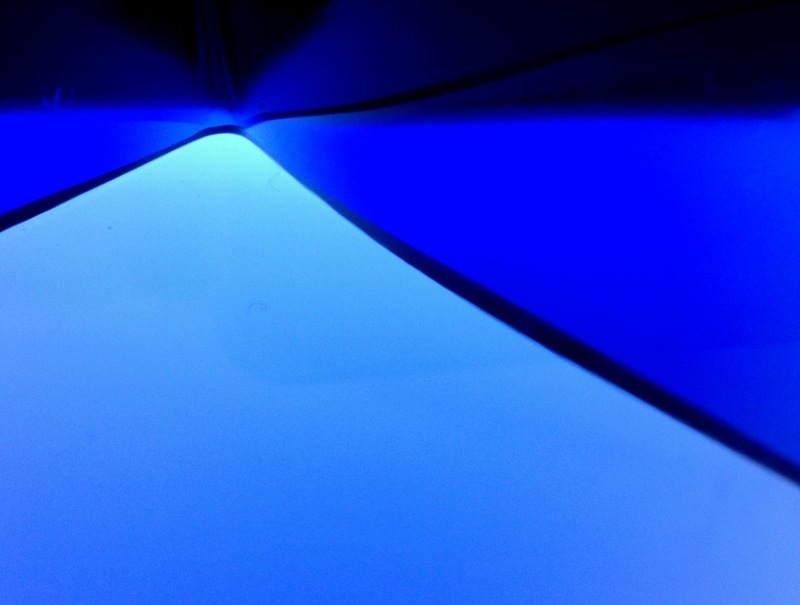 This entry was posted in Photography and tagged Blue, Photo 365. Bookmark the permalink. Something made out of glass. A table top or cocktail glass. But it looks like a small person is drowning in the distance, camera left. Great shot! So close! Blue glass? Yes. Decorative house item. Holds pretty stuff. Anyone else?